The Board of Directors of The Dominion Homeowners Association (the “Association”) has adopted the following pet policies in order to protect the rights and safety of the individual owners within the Association, while respecting the privileges of pet owners. All owners of animals must abide by the City of San Antonio Code: Regulating the Care and Control of Animals – Chapter 5. All dogs and cats over 16 weeks of age must be vaccinated against rabies and have a microchip ID implanted. This is a requirement by the City of San Antonio. Only dogs, cats or other common household pets are allowed. No wild creatures in the Felis or Canus genus or farm animals including Vietnamese pot-bellied pigs of any kind shall ever be raised, kept, bred, or harbored in any subdivision. Unless otherwise limited by the terms and provisions of the restrictions applicable to your Subdivision, a maximum of three (3) dogs and/or cats is allowed. Pursuant to the City of San Antonio policy, pets shall not be kept, bred, or used for any commercial purpose. All dogs and cats must be spayed or neutered by six (6) months of age. Dogs must be confined to the owner’s property and must not be allowed to roam free unattended on other people’s property, or the Association’s common areas, green belt areas or the streets. 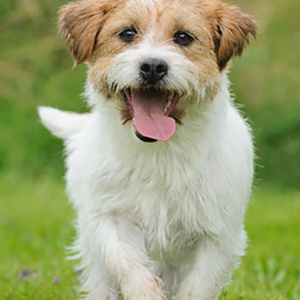 All dogs must be confined to the owner’s property at all times unless a leash restrains the animal. Invisible fences are subject to failure and are easily breached. Therefore, the use of invisible fences as the sole restraint for dogs is not permissible. The animal owner or keeper is responsible for the immediate removal and proper disposal of all solid animal waste. Owners are responsible for all damages caused by their pets. This includes personal damage or injury to another Owner, guest or tenant, or property damage. Submitting form indicates that you agree to the terms listed above. Please sign below using your mouse or finger if you are on a mobile device. Lost Pet or Want to Adopt? The Dominion Animal Advocates Group (DAAG) is a volunteer group which works with Dominion Security to provide help with lost & abandoned pets, feral cats & wildlife concerns. DAAG is dedicated to helping at-risk animals in The Dominion so they can have the best chance of a safe, happy & healthy life.